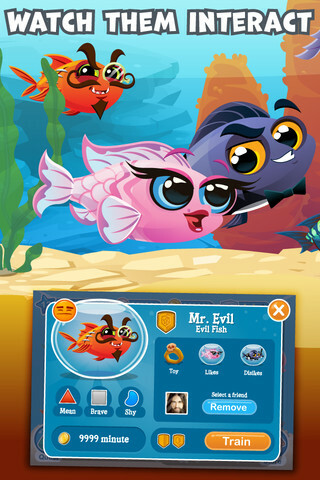 Fish with Attitude, developed by Crowdstar, is a new release in the App Store that’s sure to please fans of virtual fish tanks and cute games alike. 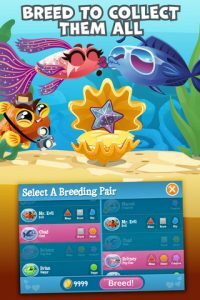 Crowdstar is the perfect developer to tackle such a project– they’re perhaps best known as the makers of Happy Aquarium, the #1 fish game on Facebook. 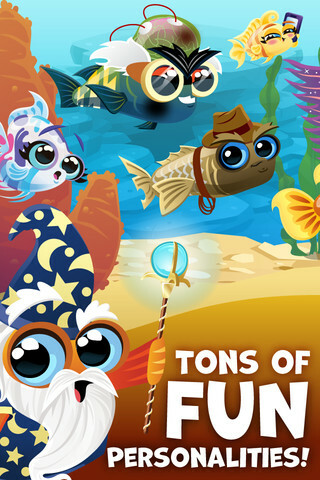 This family-friendly iPhone game is rated suitable for ages 9 and up, but don’t be fooled by the cartoon style graphics. Both kids and adults alike are sure to get drawn into this lushly realized aquatic playland. But because of that intergenerational appeal, your mileage may vary when it comes to the tutorial. It’s very in-depth, but also quite long-winded. That makes it great for little gamers who need the extra help, but less enjoyable for adults who would rather just poke around on their own and figure out the system that way. Once you get through the tutorial, the fun can finally begin. And despite relatively humble roots in the faux aquarium genre, this game really excels thanks to its ability to produce so many different personalities for the fish. There’s a truly staggering array of these cute little guys. But it’s not just the personalities themselves that are so entertaining. It’s watching how each fish interacts with the others, often in pretty unexpected ways. Get bored with training and breeding your fish to create new varieties? You can vary your gameplay with a variety of quests, which gives much-needed structure to a genre of game that can get boring in a hurry because of its lack of levels. 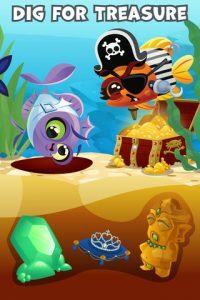 Fish with Attitude is a free-to-play iPhone game, but like many games in the App Store, there is the option of purchasing extra coins to go through the game more quickly. But whether you choose to buy extra coins or not, it’s absolutely worth your while to check out this free aquarium app…it’s definitely got some attitude. 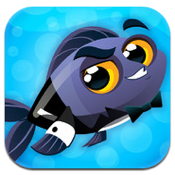 Fish with Attitude is compatible with iPhone, iPod touch, and iPad. Requires iOS 4.3 or later.